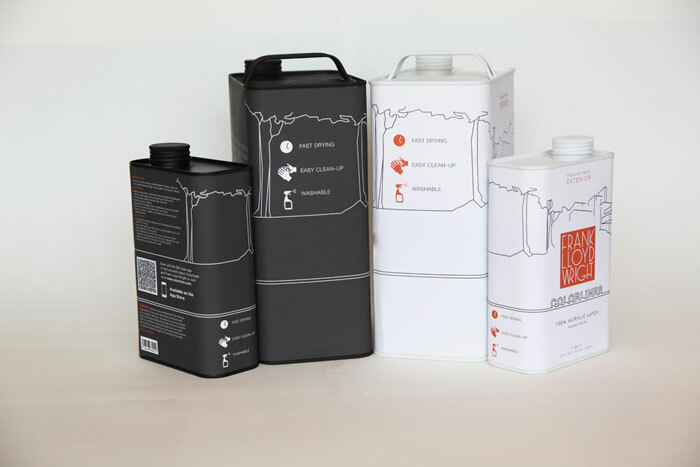 "This project was for my package design class at the Academy of Art University, San Francisco. 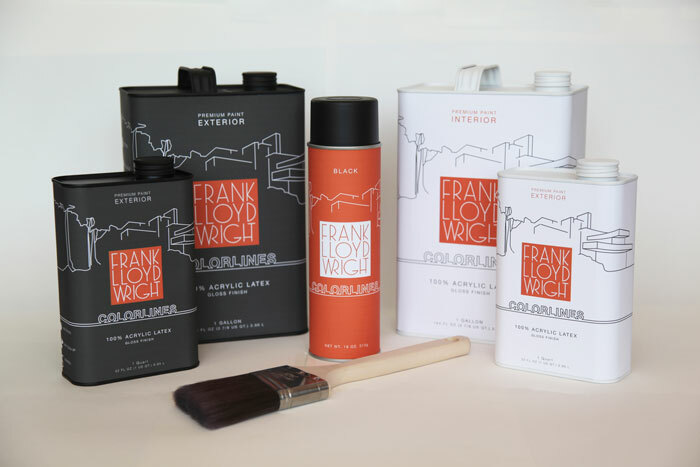 We were to come up with a designer line of home paint for an architect. I chose the famous Frank Lloyd Wright. I was inspired by one of Wright's most well known pieces of architecture, Fallingwater. 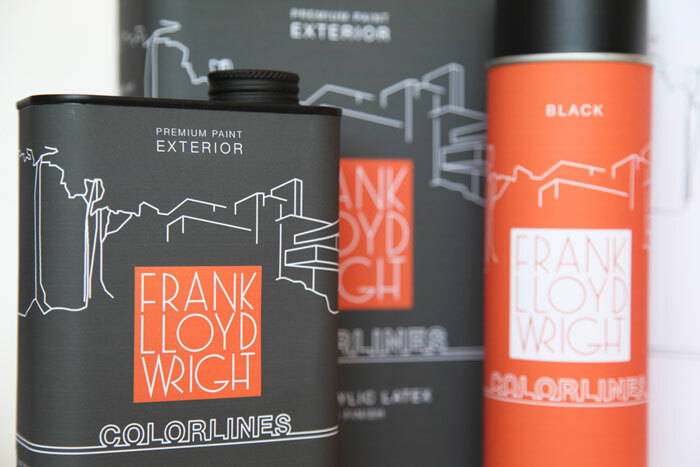 I used rectangular, F-Style containers which are a modern look to compliment the style of architecture seen in Fallingwater. I illustrated Fallingwater with a simple line drawing. The lines continue around the entire package, which creates great dividing spaces for information to be easily organized."